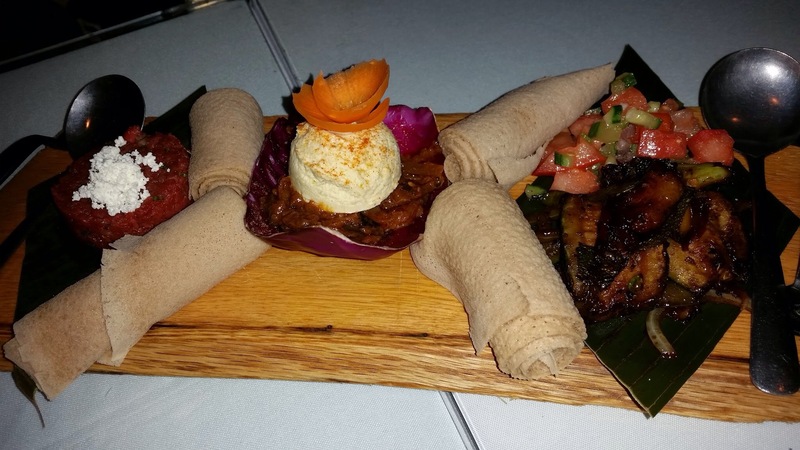 Le Nil Bleu, or the Blue Nile Ethiopian restaurant in Montreal is a vegetarian friendly and swanky place, serving typical Ethiopian dishes. Located at the bottom of a boutique hotel, the restaurant has a hotel lobby feel – there are a lot of super white sofas used as dinning chairs, miscellaneously placed sculpture and palm trees that block the walkway. It was also difficult to see the food because the lighting was minimal and sometimes blue. I believe the restaurant suffered from an identify crisis. But we went for it anyway. We ordered from the tasting menu with options of various appetizers. From the left to the right: filet mignon tartar, caramelized veggies with yellow lentils, zucchini with tomato salad in Alicha sauce. The presentation was nice. The three dishes tasted average. For our main entrée, from six o’clock going clock wise, we have Yatakelt Watt, Doro Watt, Yemesser Watt, Yekik Alicha, the same tomato salad from the appetizer again and then the injera. 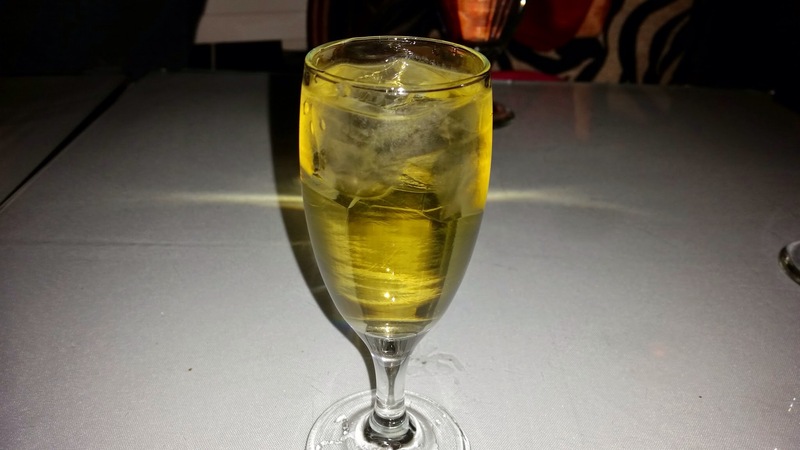 This is the honey wine that is supposed to be a dessert at the end of the meal. It was ok but nothing to get excited by. Now thinking back, this was a very sub-optimal experience. They messed up on our order and gave us the wrong entrée. We had to wait for a long time when the restaurant was not full. The tomato salad showed up twice between the course and the waitress never communicated that to us. Their tasting menu was extremely confusing and we heard other tables asking the same questions as we did. 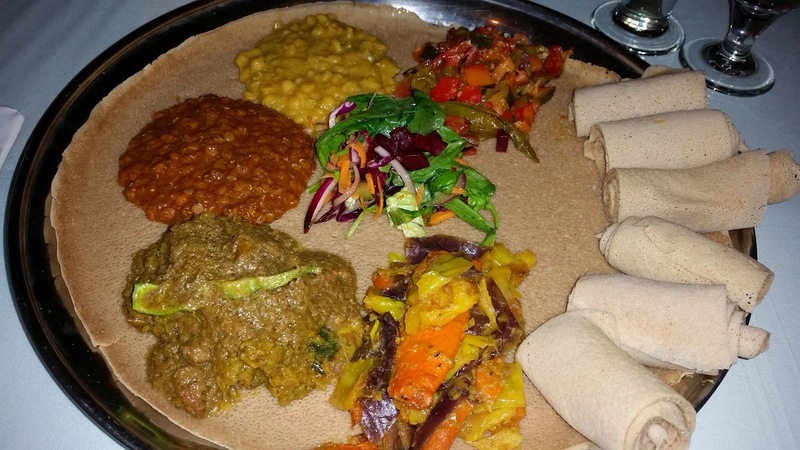 A bit disappointed because I love Ethiopian food.